Beaded crochet requires a lot of preparation. The first thing you need to do is to pick the correct beads. We’re sure you’ll be surprised to learn that many types available for craft projects can’t be washed. We’d strongly advise reading any packing before purchasing a bag of beads. The ones you pick also need to have holes large enough to fit yarn through. Our expert Freddie Patmore shares her top tips for mastering beaded crochet using our fabulous bowl pattern. The beads we recommend are specifically made with knitting and crochet in mind. They’re available in two sizes: Size 8 (for 4-ply and thinner yarns) and size 6 (for yarns thicker than 4-ply). We like to work with size 6 for this project. They come in a variety of colours and are washable – making the perfect for your yarn-based projects. To make the trio of bowls, our pattern states that three balls of yarn and 247 beads are needed. Split the beads three ways and thread a third onto each ball. You can, however, use as many beads as you’d like, depending on the pattern you want to achieve. 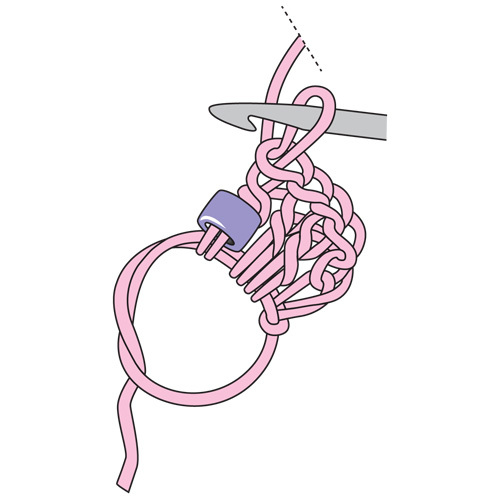 If you’re struggling to fit your knitter’s needle through the hole in each bead, work with a sewing needle. 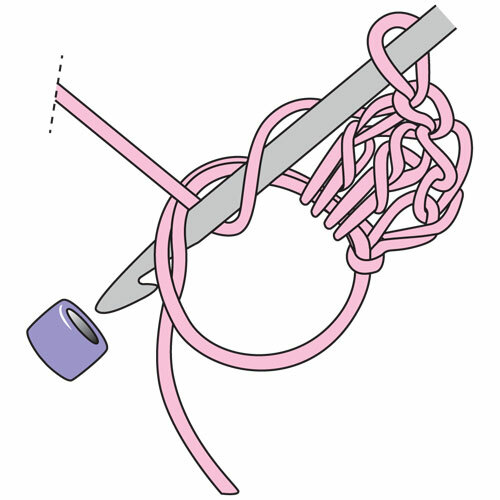 Pull a loop of thread through the needle and put your yarn through this loop. Push each bead down the thread and onto the yarn as you thread the beads onto the needle. The next step is crocheting them in. If the string of beads gets in your way as you work, gently push them down the yarn toward the ball and out of the way (gravity will naturally drag them downwards). Work crochet stitches in the normal way until you reach the stitch where your pattern asks you to place a bead, our patterns will usually do so by saying ‘B1’. The rest is easy. Simply add in your bead at the first stage of working your crocheted stitch. When you have pre-threaded your beads onto your yarn, the method described above will leave your bead at the back of your work. Alternatively, with larger beads you can thread beads on as each stitch is worked – your beads will sit at the front of the work. 1. For these designs make a slip ring and work three chain and two trebles into it. Yarn round hook, insert it in the ring then in the bead. 2. Yarn round hook again and pull it through the bead, at the same time pulling the bead through to the front of the ring. 3. 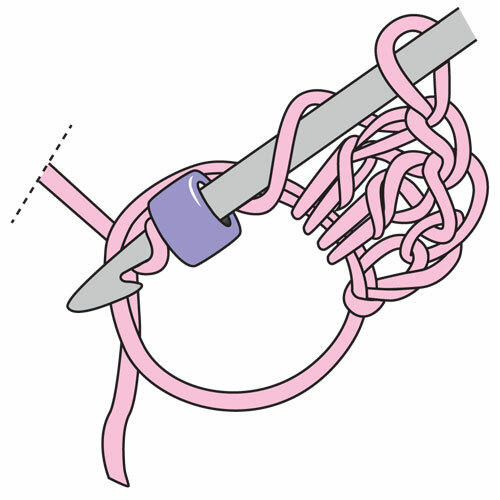 Yarn round hook and pull it through the next 2 loops on the hook] twice to make a treble, with the bead at the base of the stitch. Add a sprinkle of beads to your next project. So there you have it, beading is easy-peasy when you know how it’s done.